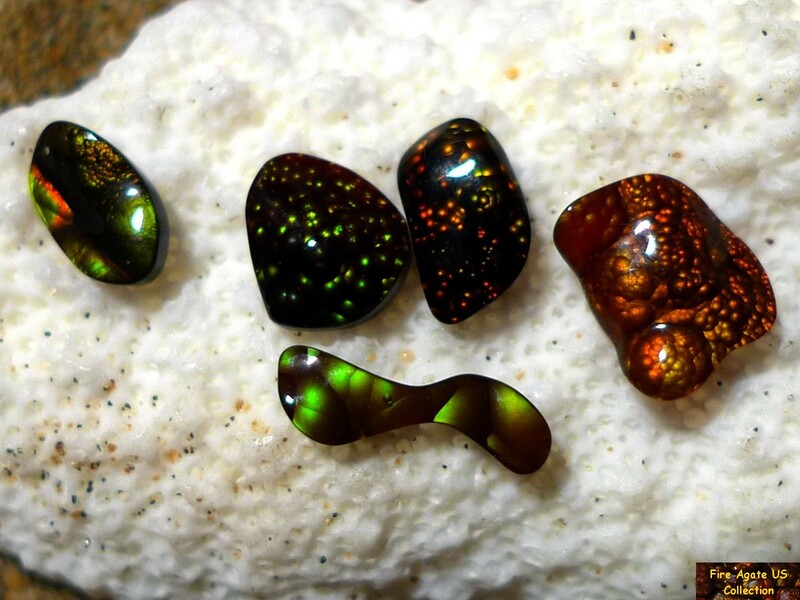 Photographs were taken indoors under lights and outdoors in sunlight while the gems were dry and to best display the fire. 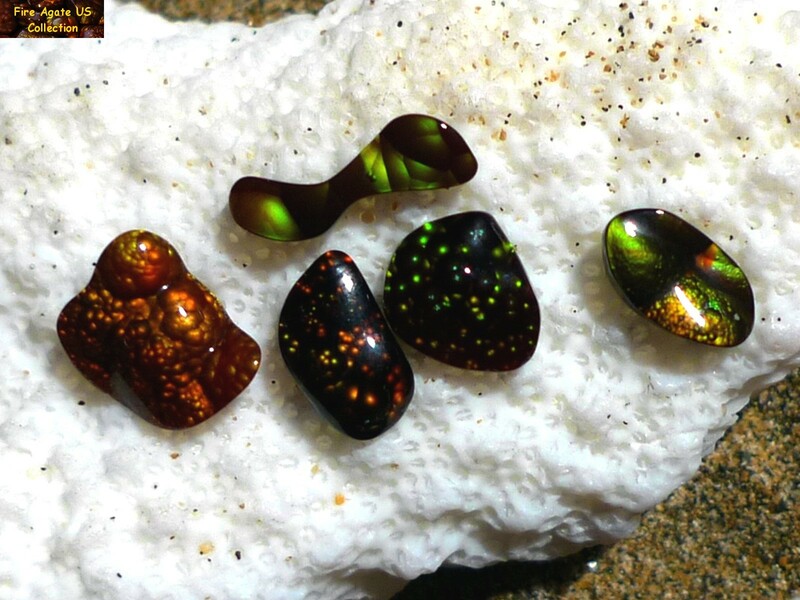 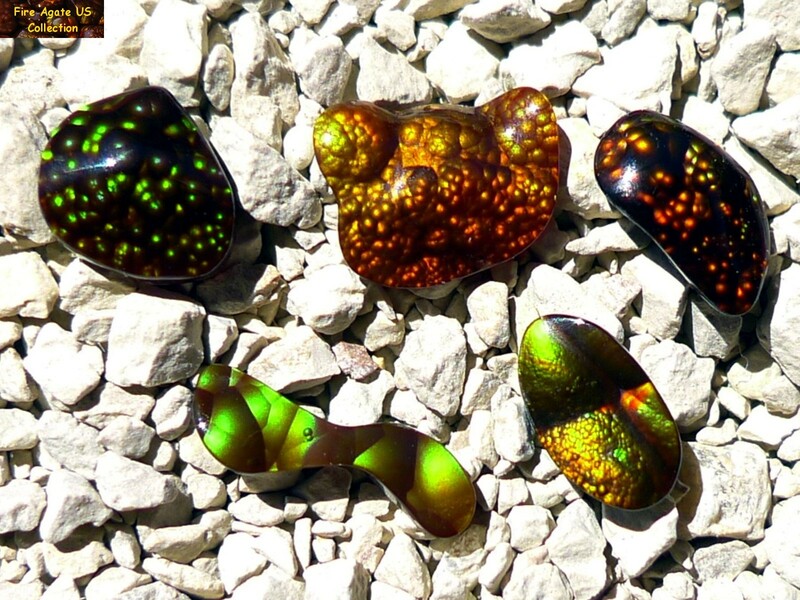 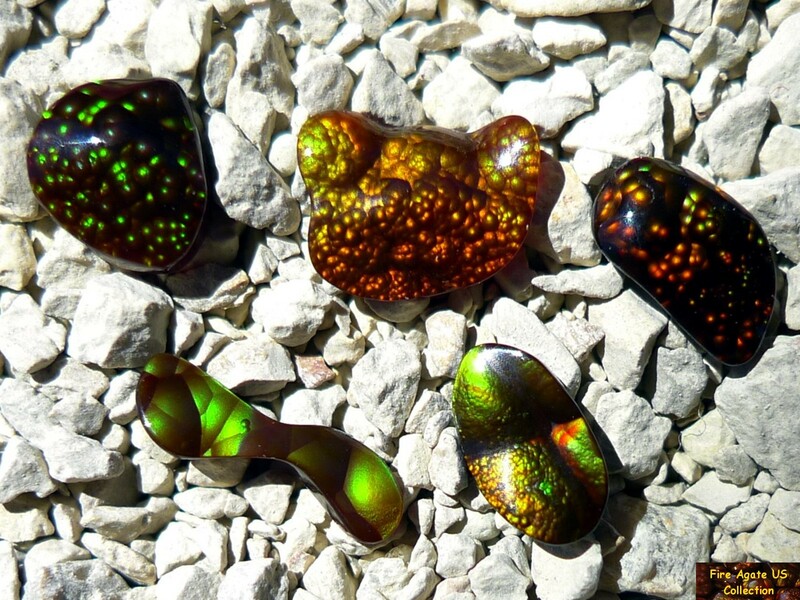 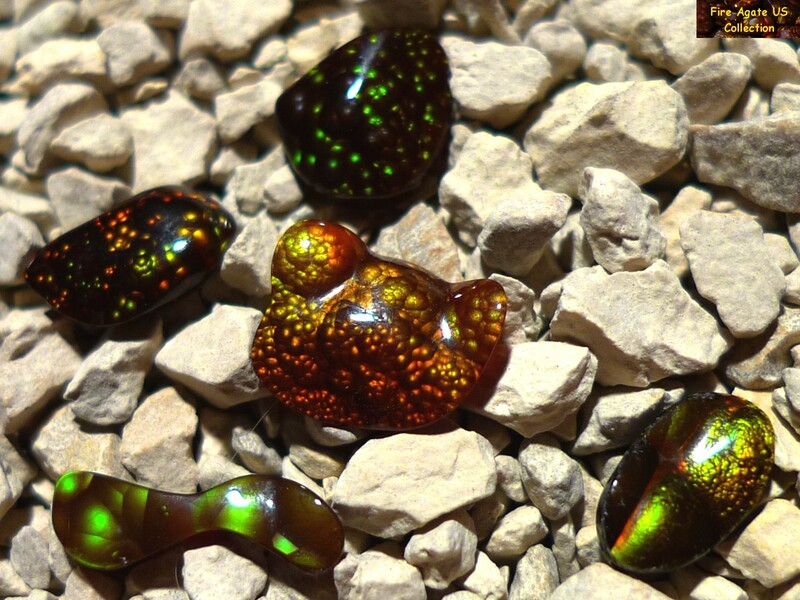 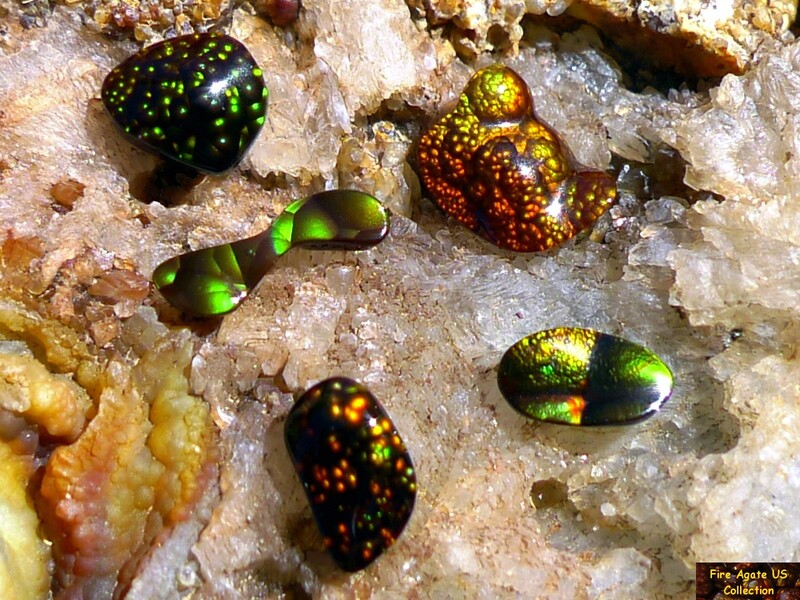 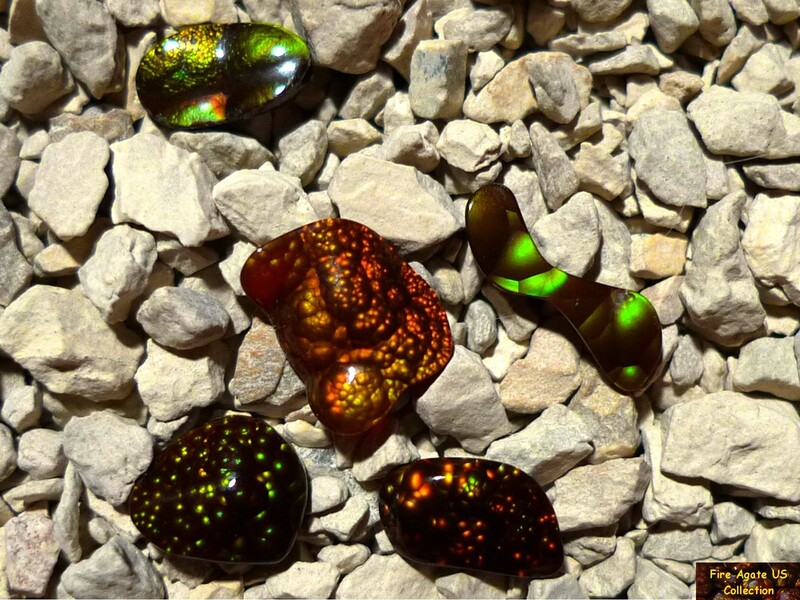 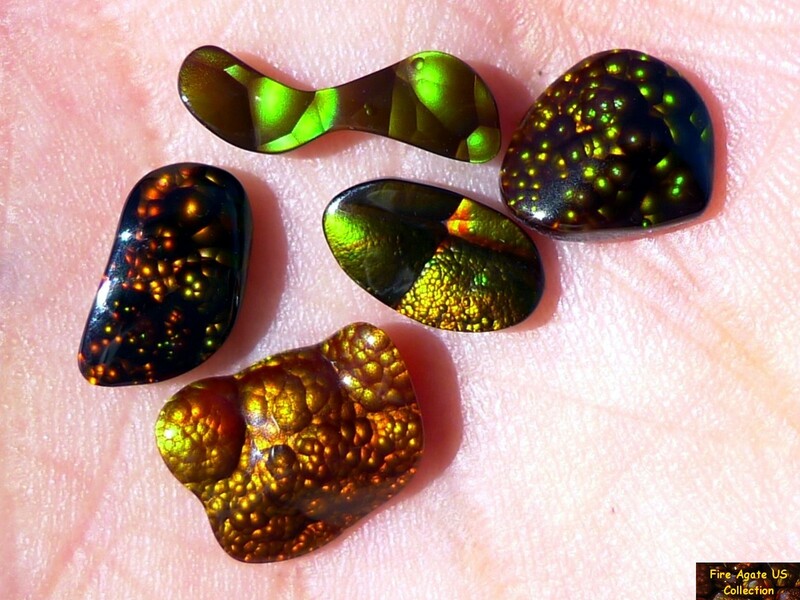 The colors found within fire agates are created by the Schiller effect, as found in mother-of-pearl and opals. 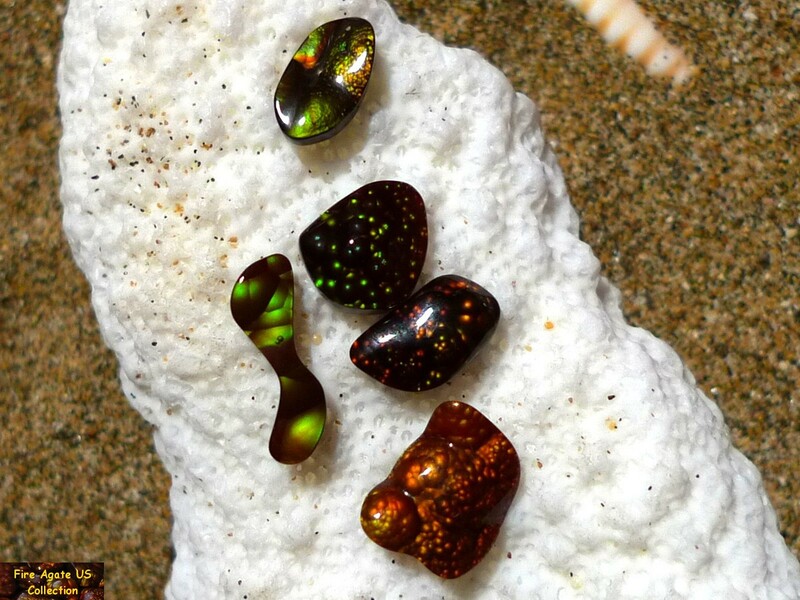 It is caused by the alternating silica and iron oxide layers which diffract and allow light to pass which forms the interference of colors known as fire. 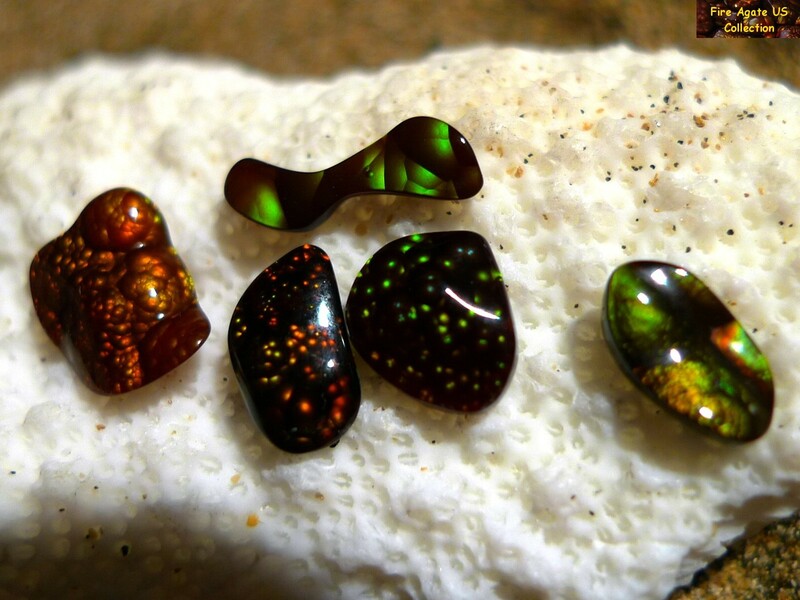 This play of color requires good lighting for best fire display and the gems will appear darker and/or brown colored in low light conditions.